Book your Portsmouth to St Malo ferry today. Instead of the usual Dover to Calais or Dover to Dunkirk, the Portsmouth to St Malo route is a lovely alternative. The crossing takes a lot longer, sometimes as long as 11 hours however what nicer way to start your holiday than a relaxing sail across the Channel? Brittany Ferries run two cruise ships on this route called the Bretagne and the Pont Aven and offer the usual high-quality refinements you would come to expect on a modern super-ferry. These sailings can be overnight with top class accommodation, dining and all the facilities you need including free wi-fi. Brittany, founded in the 6th century by monks from Wales, has a rich history and is famed for its numerous Neolithic monuments. There is plenty to see and do, from beach activities to events and even hot air ballooning. 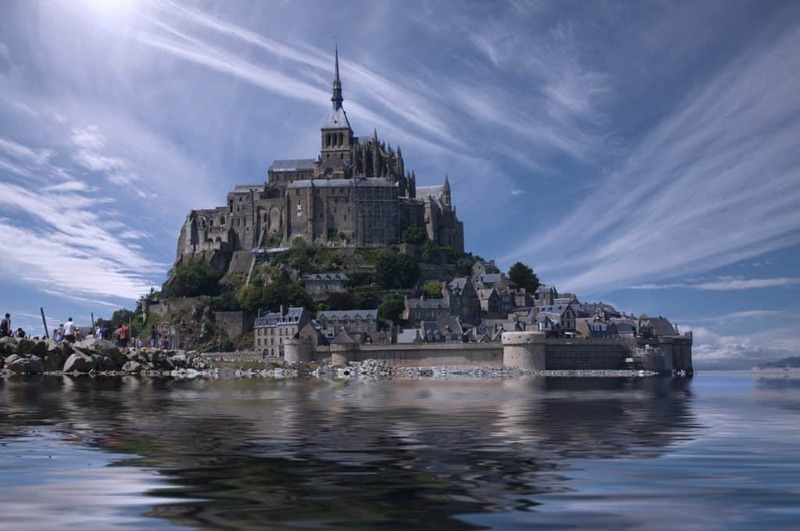 The famous Mont St Michel, a magical island between the bays of Brittany and Normandy is well worth a visit. Due to the extreme tidal variations, it is advisable to go with an experienced guide. Prices vary considerably, expect to pay between £155 to £356 each way depending on seasonality. Why Sail Portsmouth to St Malo? With Brittany Ferries, sailings can occur overnight so you wake up refreshed and ready to start the day. 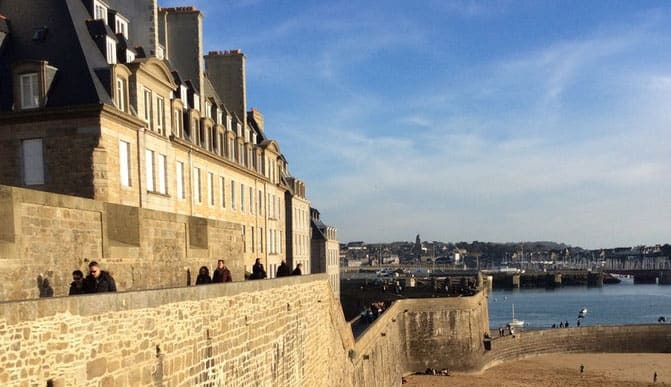 The port of St Malo, situated on some of the best beaches of the Emerald Coast, puts you in close proximity to the D126 and then the D137 which can take you down to Rennes and then further south to Nantes and even Bordeaux. How Long Is The Portsmouth to St Malo Ferry Crossing? Approx 10 3/4 hours although allow extra time due to tidal conditions. Brittany Ferries, founded in 1972 by Alexis Gourvennec and a group of Breton farmers and first sailing on 2nd January 1973. Operating purpose-built ships with class-leading luxury and refinement, Brittany Ferries celebrated its 40th anniversary in 2013.